Heat Doc installed a Danfoss DHP-L Opti Pro 8kw & 300litre hot water cylinder on 100M borehole, a Paul Novus 450 Heat recovery system and Variotherm wall heating. For further information read the Rise of the passive House article, the Holden Passive House article on Gyproc website, or the RTE About the House show here. 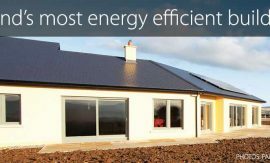 A new house in Wexford is the first in the country to achieve an A1 Building Energy Rating and certified ...Read more! 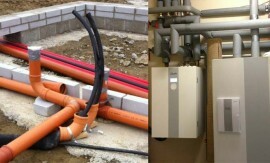 Heat Doc undertook to install a Danfoss DHP-AQ 9kw Air/Water heat pump & Midi & 300litre cylinder, ...Read more! 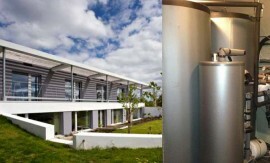 Heat Doc equipped this Passive House with Kingspan Thermomax HP400 evacuated tubes solar hot water system, ...Read more!